There's a great story about a Swiss watchmaker who inadvertently saved the luxury watch business back in the 1970s. At the end of that decade, the watch world was in the middle of a revolution. The entire industry had decided, with incredible speed and solidarity, to abandon complex mechanical movements in favor of battery-powered quartz, which had every seeming advantage—not only was it more accurate and more reliable, but cheaper as well. And, like many revolutions before it, an attempt was made to erase the past: watchmaking machinery was destroyed across Switzerland, the tooling junked for scrap. The future was embraced by all; no one looked back. Except for one guy, a watchmaker at Zenith named Charles "Charly" Vermot, who decided to stash what he could of the company's machinery, complications, and tools behind a false wall in a forgotten attic in Le Locle, where it stayed hidden for a decade. It took around 10 years for watch buyers to yearn for something that watchmakers had assured themselves would never again be in demand: old technology. Customers—the important ones, the ones with money—realized they didn't want to invest in the futuristic and efficient; instead, they wanted to obsess over expensive, complex, imprecise things. And so the whole luxury Swiss watchmaking industry had to be rebuilt using only Charly Vermot's small secret cache of hipster paraphernalia. And then something even stranger happened: demand for mechanical wristwatches kept growing, moving from luxury goods down through increasingly accessible price points, and kept growing even as mobile phones obviated the need for dedicated timekeeping instruments, and kept growing until now, when even the horological tourists can find something interesting and reliable and of good value. And if you're armed with a bit of knowledge and are willing to spend, your options are unprecedented, kaleidoscopic; the most obsessive and well-financed drop ungodly amounts of money on what are essentially intricate toys. It feels we are at this same place with the performance car. Family sedans like the Toyota Camry and Ford Fusion can come packed with more than 300 horsepower, and if you're willing to spend—around $70,000 to start, with a tolerance for many tens of thousands more—there is an expansive world of power to be had, much of it packaged in novel ways far beyond the imagination of a decade ago; not just sport coupes and sedans and rocket wagons, but unhinged SUVs and whatever you call that odd, brutish new crossbreed between a hot hatch and a crossover. [A hot cross bun? —Ed.] Most have at least 400 horsepower, and all will hit 60 mph in under four seconds and can hustle competently—sometimes astonishingly so—around a race track. How to spend that money, if you have it? 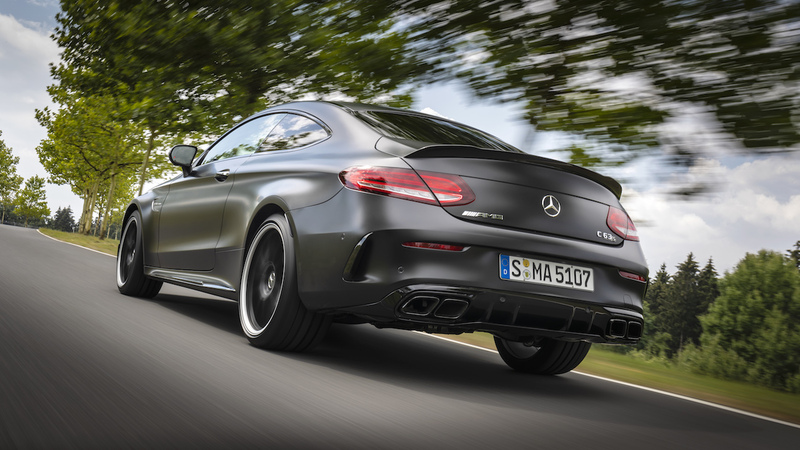 Purists will flock to the refreshed 2019 Mercedes-AMG C63 S, which does all that and probably more, because this "bedrock" AMG product (Mercedes's term) seems to do all things at once, while going very fast and possibly sideways. The most important part, the excellent and evocative 4.0-liter bi-turbo V-8, remains thankfully unchanged—that means 469 horsepower and 479 pound-feet of torque standard, and 503 hp and 516 lb-ft for S models—though it sits within a slightly revised front end with lower air intakes, a more pronounced diffuser, and most noticeably, the vertical slats of Mercedes's elegant Panamericana grille, which AMG uses to denote its most potent products. 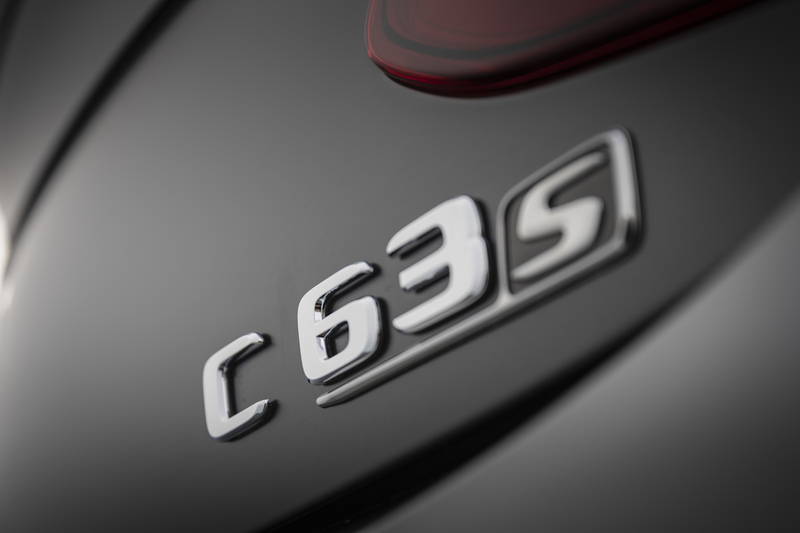 In matte gray, with muscular wheel arches and aggressive character lines, the C63 S has the look of a mean, steroidal bullet. My first run around Bilster Berg, a rollicking, 2.6-mile rollercoaster circuit carved from the surrounding Teutoburg forest in Bad Driburg, Germany, felt appropriately dangerous—not just because of the constant elevation changes and blind turns, but also because I seemed to being doing battle with the car: It bucked and jumped and spooked under hard braking, shoving me off the racing line and out of the power band, sapping confidence and speed in equal measure. It was not supposed to be this way—and, it turned out on subsequent runs, it did not have to be. 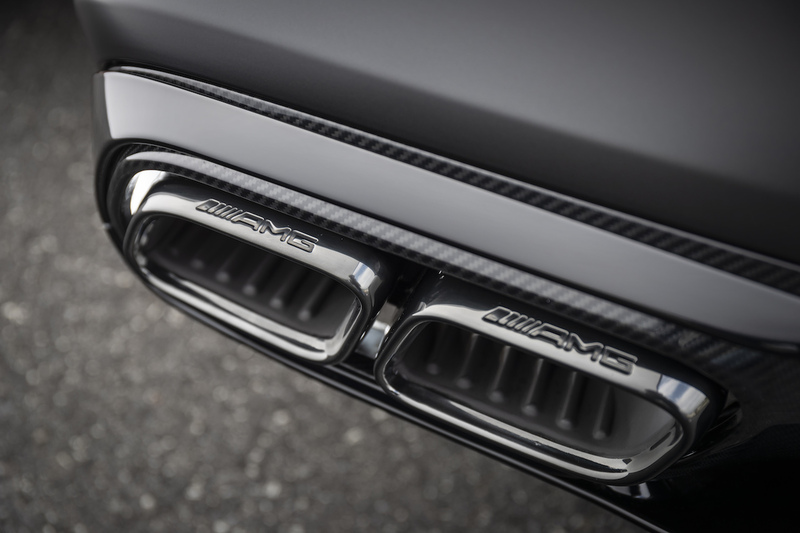 Despite old-school touches like that big growly V-8 and rear-wheel-drive, the Mercedes-AMG C63 S is a high-tech and highly customizable machine, with nine different adherence settings from the AMG Traction Control (first seen in the AMG GT R coupe and now exclusive to S models), adjustable with a thumb dial on the lower-right side of the thick, flat-bottomed steering wheel. The car, in other words, requires you pay proper attention to its setup. 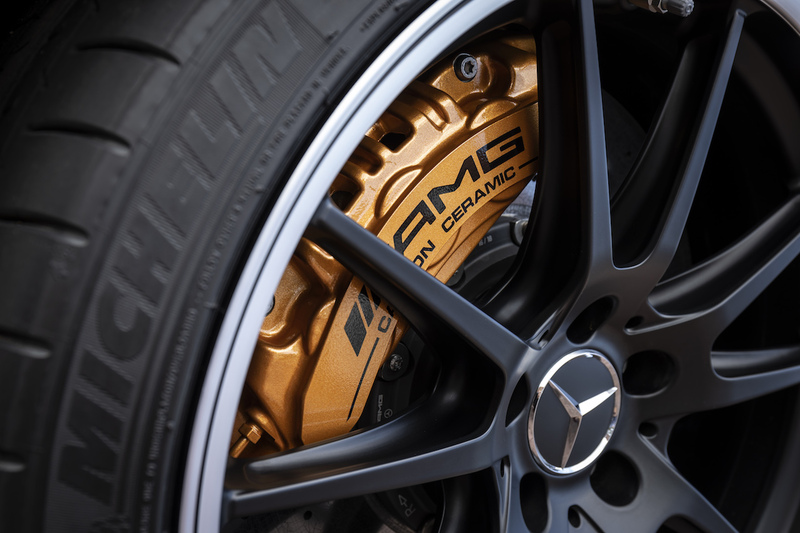 Partial credit for that footwork goes to the retuned AMG Ride Control suspension, with its electronically-controlled limited-slip rear differential, adaptive dampers, and dynamic engine mounts that automatically adjust based on the driving modes: Comfort, Slippery, Individual, Sport, Sport+, and, for S models, Race. 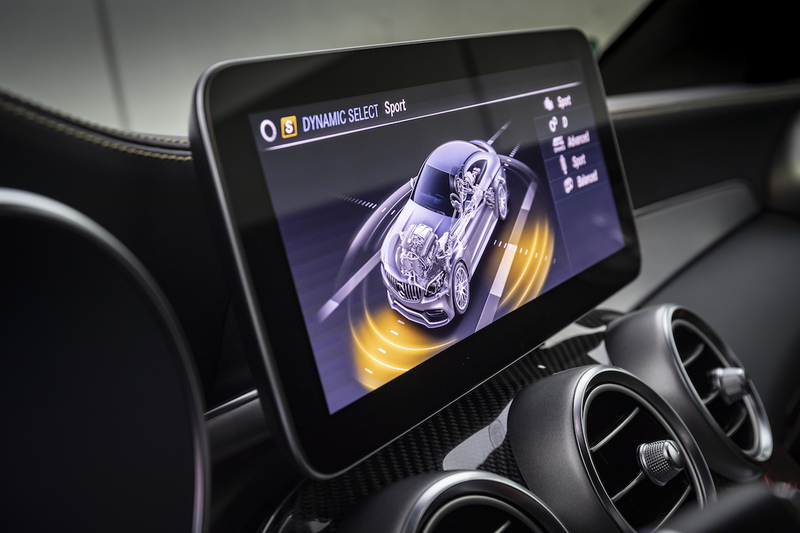 The car can be further programmed—in addition to Ride Control and traction control choices and the three suspension-stiffness settings—with AMG Dynamics, which monitors speed, steering input, and vehicle yaw and continually adjusts the torque-vectoring and stability control in favor of whatever the car thinks the driver wants to do. (To aid the translation, a driver must first identify his skill level among the AMG Dynamics categories: Basic, Advanced, Pro, and Master; the last mode is embarrassingly named, and conjures the image of a middle-aged man sitting in a hotted-up C-Class, contemplating whether he considers himself a mere Professional or has finally earned the elusive title of "Master," immediately before sending the car into a wall.) Most everything can be controlled, often redundantly, using the various dials and toggles and knobs on that hefty and wonderful steering wheel, for easy on-the-fly adjustments. On the road, those endless settings and modes prove largely irrelevant. 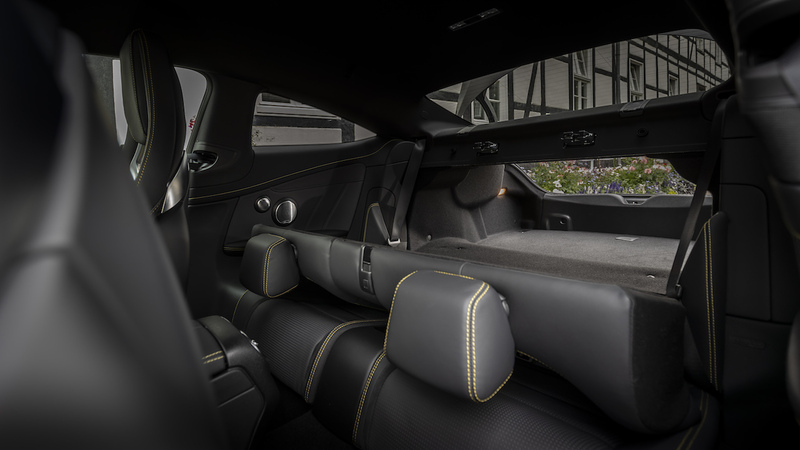 The Comfort setting is indeed more plush, though the ride quality, like the heavily bolstered and minutely-adjustable sports seats, is stiff overall. 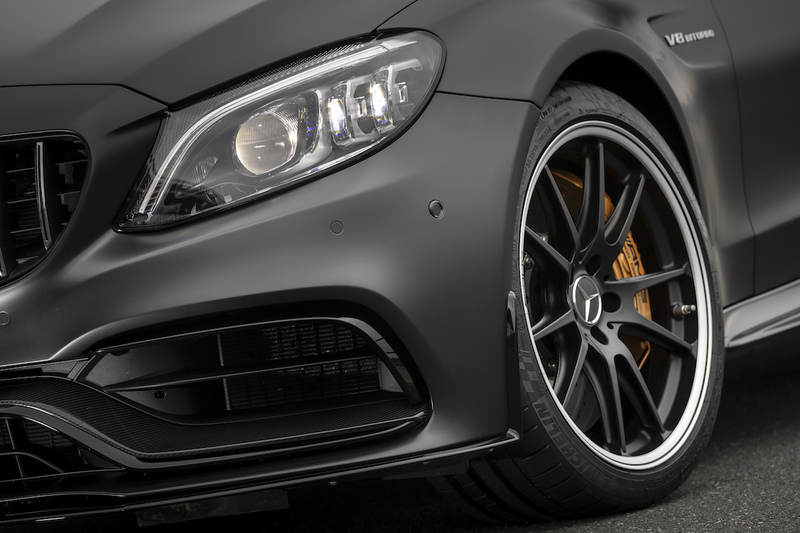 Best to leave it in Sport for the increased throttle response and sharper steering, because the C63 S actually feels energized and engaged at legal speeds, which is not always the case with the high-output competition. AMG's seven-speed Speedshift MCT has been swapped for a nine-speed Speedshift MCT 9G transmission (like its predecessor, it uses a wet clutch design instead of a torque converter, which Mercedes says provides better response and "faster bursts of speed"), which is good for fuel economy but is definitely a lot of goddamn gears; really, too many gears. In everyday driving, nine gears isn't exactly the same as an infinite number, but it starts to feels close. Yet the shifts are noticeably crisper than in the old box, and top speed is up to 180 from 155 mph, so there's that. 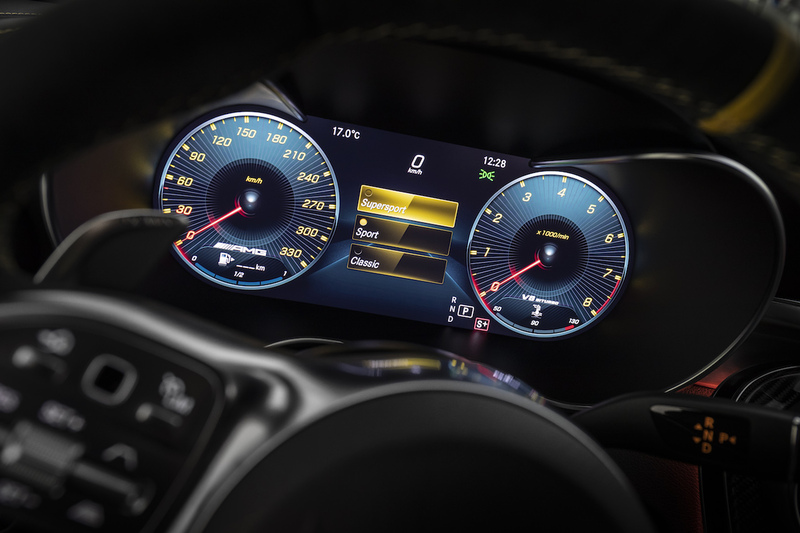 Mercedes's maximalist interior design language works well in the C63 S: it has elegant carbon fiber bits in all the respectable places, the way rich old women wear diamonds; quilted leather and bright metal; and an optional 12.3-inch digital instrument cluster with reconfigurable displays including virtual analog-style gauges—which are striking, if less dignified than actual analog gauges. The basics are arranged as a proper driver-oriented cockpit, and the layout and ergonomics are both lovely; most everything is robust, nice to touch, and easily accessible. There's definitely a sound system in the car—I checked—but with the option of eight cylinders shot through an extra-loud exhaust setting, why not just listen to that wild, cracking song? 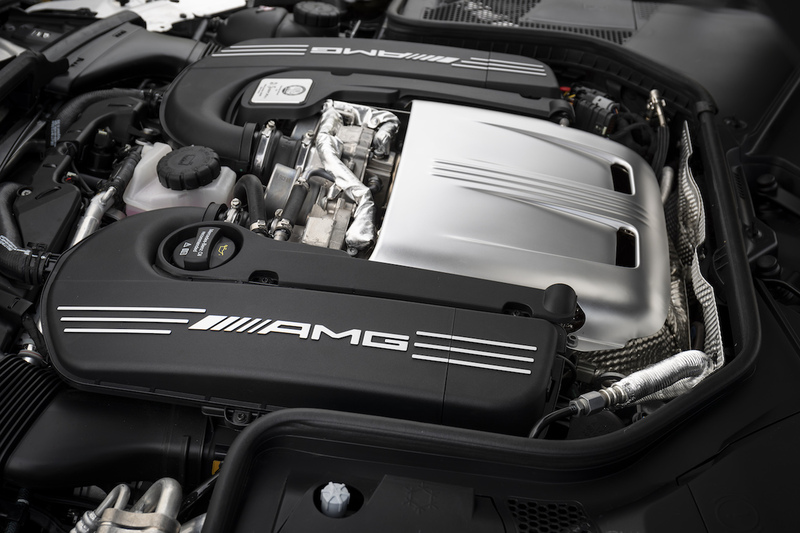 That engine, as per AMG tradition, is built by hand in Affalterbach. That detail is a wonderful anachronism, and a potent anecdote for the luxury-car buyer, who trades in such things. 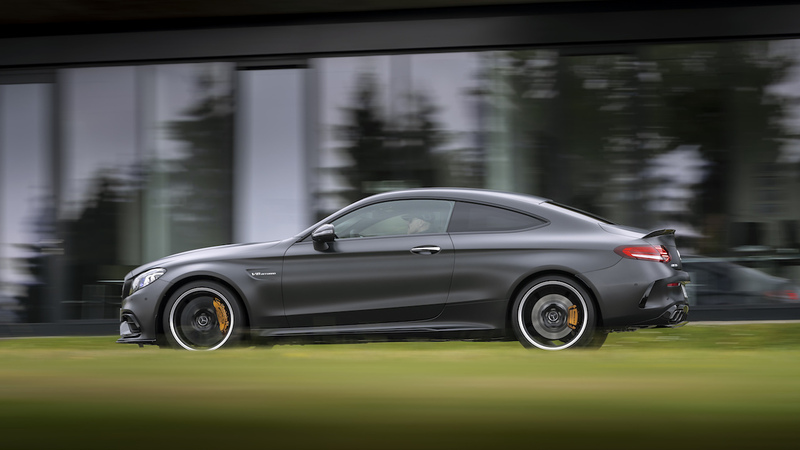 It is also a focal point for a question about the future: the Mercedes-AMG C63 S is a riotous and astoundingly capable machine, a pinnacle of modern car-making, but what if—unlike in the watch world—we're not on the other side of a great transformative shift, but on the cusp of one? What if "modern car-making" is finally, actually about to mean something radically different? What if we're in the moment right before the quartz apocalypse? That seems likely. Global regulatory pressure based on the fact of a finite amount of oil and the existential threat of man-made climate chage is pushing us away from the gas-powered engine, but more than that, electric cars—and not just Teslas, but Rimacs and and Volkswagen I.D. 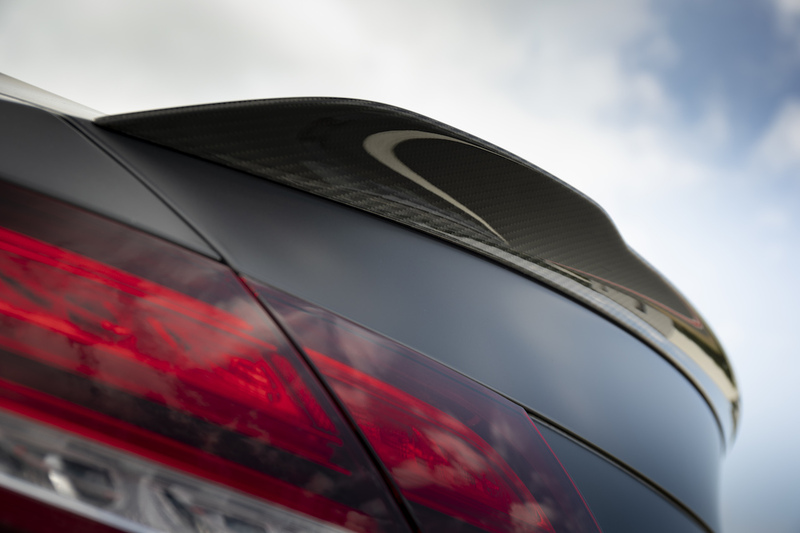 Rs and Porsche Taycans—have finally begun to turn the heads of car enthusiasts with their extraordinary performance. Automotive battery technology is already stacking its advantages. Nothing will happen so rapidly or definitively as with the watch world's zero-sum choice of battery power over mechanical: the auto industry is simply too big, too globalized, and too regulated for such drastic action. It's safe to say the internal combustion engine will never fully disappear—but it will become increasingly rare. Sometime soon, gas-powered cars will only exist in developed countries as low-tech rural necessities, like horses—or as high-ticket luxury items for sport and entertainment, like fancy horses. So the question is: will the mere performance car, even the very best examples, be considered purebred enough to survive the latter transition? Or will future gas-powered luxury signifiers only endure at the very highest echelons—only as true supercars, or even more than that? Because it would be shame for future generations not to know just how good we have it now, with all this crazy stupid well-built fun at our disposal, at so many different price points. 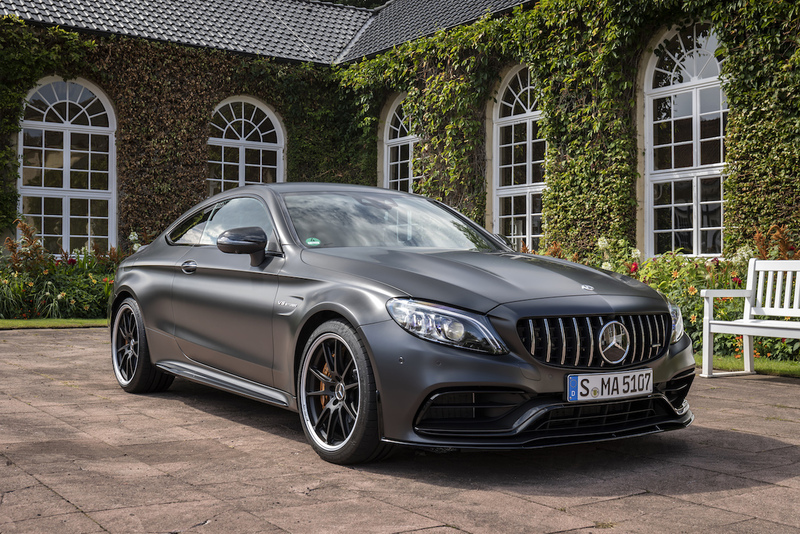 Regardless of the answer, here's a solution: Buy a 2019 Mercedes-AMG C63 S. Expect it to start in the mid-$70K range (final pricing has yet to be announced), and then prepare to spend a whole bunch more on options. Enjoy the hell out of it and give it meticulous attention and care; store it well and keep all the maintenance records. Then, one day down the line, when the world has moved on, someone obsessive and obscenely well-financed will show up at your door, eager to drop ungodly amounts of money on your rare, intricate, outdated toy. And then you tell that person to go pound sand, because by then there will be no possible way to put a price on it. 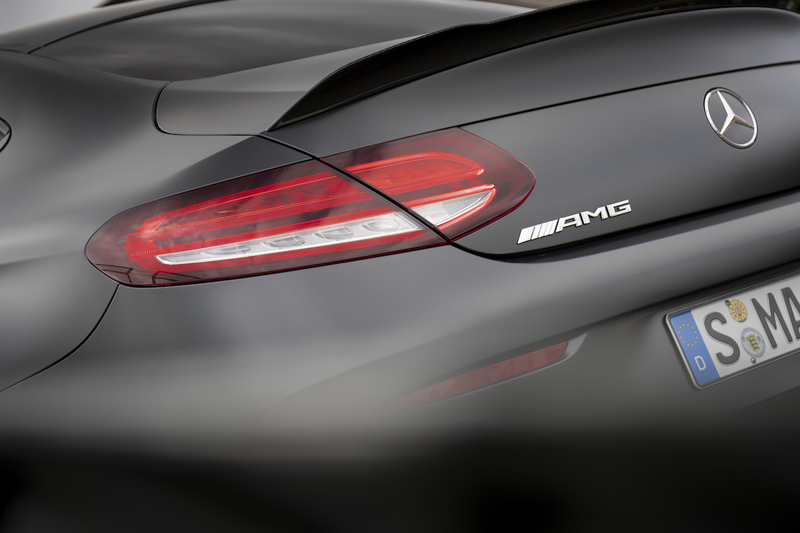 AMG's move to the big leagues results in a softer—not to say soft—AMG for the masses.